Ken Kesey was part of psychedelic drugs experiments before he wrote "One Flew Over the Cuckoo's Nest"
The 1960’s in the UK and the US were fairly marked by the rise of the counterculture, as an anti-establishment movement and answer towards the political climate of the decade. London, New York, and San Francisco were three of the hub cities from where this cultural phenomenon and movement would spread on, only to be further enhanced by the American Civil Rights Movement and the much controversial US government military intervention in Vietnam. Appraised as one of the great American novelists and essayists of the 20-th century, Ken Kesey emerged as one of the best-known figures of this movement. 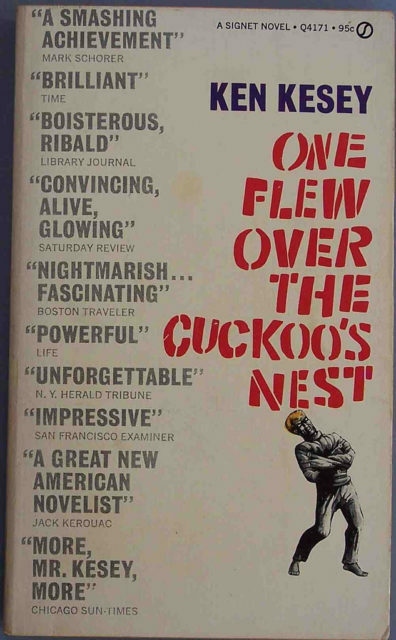 His work was the missing link between the Beat Generation of the post-war 1950’s world, when the US youth identified itself only with decayed values of its parents’ generation, and the hippies of the 1960’s, so Kesey was just right in time with the popular novel One Flew Over the Cuckoo’s Nest. And here, lays a much alluring story of how Kesey was stimulated to write his book that apparently made a priceless contribution to US and world literature. Kesey began working on his novel One Flew Over the Cuckoo’s Nest in 1960 after he had successfully completed his graduate fellowship program in creative writing, undertaken at Stanford University. His novel was ranked high at once as an instant success, both commercially and critically speaking upon its release in 1962. 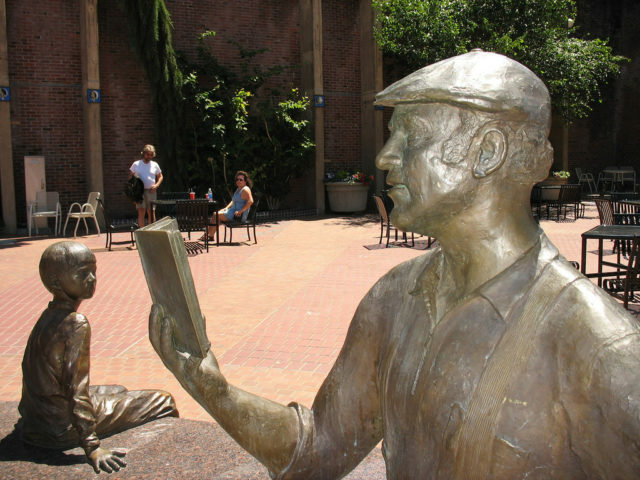 But it was at Stanford, when Kesey was a student, that the crucial events for the creation of his most famous book had played out. Namely, Perry Lane, a neighbor of Kesey, and Vik Lovel, another graduate student of the psychology department, invited Kesey over to participate in a much secretive program known as the Project MKUltra. If it wasn’t for Kesey’s volunteering engagement to this program, probably the chain of events would have turned out much differently, and One Flew Over the Cuckoo’s Nest would have never seen the light of the day. 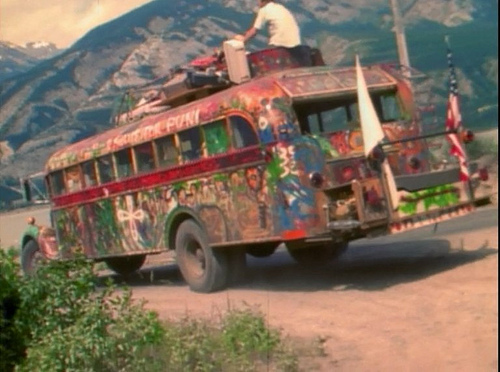 As part of the volunteering experience, Kesey experimented with the usage of LSD, as well as other psychedelic drugs (mescaline, cocaine, AMT, DMT, psilocybin, etc.). He would write on his encounters with the drugs in details, both within the frames of the program, and in the following years when he proceeded with experiments on his own. 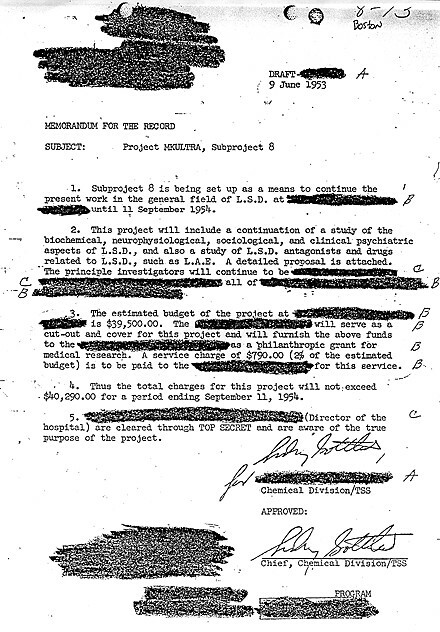 Referred also as the CIA’s mind control program, the Project MKUltra, will later turn out to be conducted by none other actor but the US Central Intelligence Agency. At times, this program would operate only illegally, where various participants, included Kesey himself will really fill out the roles of medical guinea pigs. The CIA program had only one goal: to see if participants could force confessions through mind control after intake of drugs. Hence, it’s a funny turn out of events. The MKUltra had a massive impact over the entire idea of One Flew Over the Cuckoo’s Nest, that is set in Oregon psychiatric hospital. Kesey collected additional inspiration from his experience as an assistant at the Veterans’ Administration hospital in California at the time. Then, the narrative of the book served as a profound study of the institutional processes and its relation with the human mind. Unexpectedly, this narrative acted only as a critique towards the behaviorism, and an appreciation of the humanistic principles. Kesey would further prove that complex, profound books can only come if the author had really first re-lived some of the actual narrative himself. For him, all the experiences had been out there: the drugs, the program, the CIA, the institutions and the psychiatric hospital. After One Flew Over the Cuckoo’s Nest, Kesey continued to experiment. A high appreciation can be attached to his so- called “Acid Tests”, happenings and events where he acted as a host, and where he entertained his guests with various drugs, as well as selected bands such as the Grateful Dead, only to intensify the overall party experience with appropriate music. As the timeline of the 1960’s allows us to see, Kesey acid parties were a clear introduction to the Hippie culture, or the first embryos of it. In a manner of speaking, it would turn out that was the CIA who initially had stimulated this whole chain of events. Further on, Kesey’s acid parties were captured through the lines of Ginsberg’s poetry and served as an initiative of Tom Wolfe’s The Electric Kool-Aid Acid Test, a book that announced the birth of the nonfiction novel and the New Journalism as a genre. Finally, if go further through Kesey’s story and his encounters with psychedelic drugs, the list of his contribution will undoubtedly continue to unfold. His Acid Test parties also influenced Hunter S. Thomspon’s work, as well as Frank Reynolds’ Hell’s Angels. 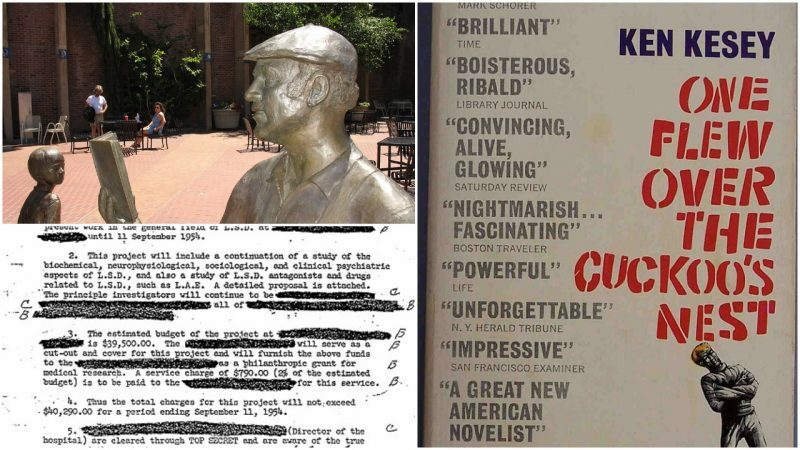 In 1975, the motion picture adaptation of One Flew Over the Cuckoo’s Nest, collected astonishing five Academy Awards, which determined the status of Kesey’s first book as a work which will always cast a shadow over the rest of his writings.